If you like a tipple or two you maybe aware that your favourite drink may contain far too many carbohydrates to enjoy a glass without the dreaded guilt. However a ray of sunshine has just descended in Tesco stores recently in the form of Slim Wines – the holy grail of 0% carbs and 0% sugar wines. As if the 0 carbs and sugar per bottle wasn’t awesome enough, the wines also have a 10% alcohol volume. 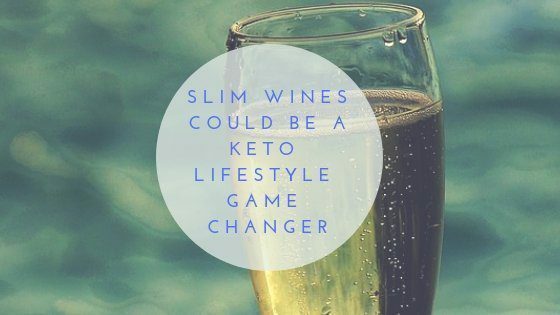 Meaning that Slim Wines are definitely Real Wines… perfect for those who want to have a treat but also stay true to Keto – even if it is lazy Keto, which I totally endorse! The Slim Wines range features: Pink Sparkling Pinot and Chardonnay (pictured), Merlot, Sauvignon and White Sparkling Chardonnay and Pinot – something there for all wine lovers! SlimLine Wine is true artisan wine made from our own very special ‘Chateau Zero’ World Heritage Site Vineyards in Piedmont. Our Vines were planted by us, they are cared for by us, and are always picked by our own hands. Every bottle of SLIM can be traced back literally to its roots. Sounds good right? I guess the answer is in actually sampling the Pink Sparkling Pinot and Chardonnay Slim Wines that I managed to pick up earlier in our local large Tesco store. Currently, this is on offer at £9 per bottle and if given the thumbs up could prove to be a complete game changer come the festive period and New Year! The nutritional information is very reassuring for those following the Keto lifestyle – we just need more availability on Slim Wines now. It would be great to see this offered in bars, giving those following stricter healthy living lifestyles more variety! Not a big drinker these days anyway, I am more than happy to sit in a pub and drink a pint of water – it will be interesting to hopefully enjoy a glass tonight and see if this really is a game changer! I shall be reporting back! Update: Not only are Slim Wines amazing, flavoursome and allow you to treat yourself without the guilt, but their customer service is amazing! If you have yet to try the range of zero sugar and zero carb wines, make sure you do!